Gave my girl Rachel Ray Dog Food. My 2 yr old female Shih Tzu, she is a very picky eater. I have tried a lot of different brands of dog food, and she will just turn her nose up at it. So I thought I would give Rachel Rays Nutrish soft dog food brand a try and see what happens, I means what did I have to lose besides a couple bucks. I would like to get her on a good dry food but I don't know what to try next because she is so picky. If anybody has any ideas I would appreciate it any suggestions. But for now I will keep giving Molly the Rachel Ray Nutrish. We've had a 6 year old Shih Tzu for almost 3 years. We've given her Nature's Balance Limited Ingredient since we got her. But we decided to try Nutrish. She loves it and with coupons it's not too expensive. She will get me to go to her dish in the afternoon because she wants some for a snack. She never did that with the other food. My Bailey has food allergies. I've had such a hard time finding something he could eat. He seems to not do too well with the additives. 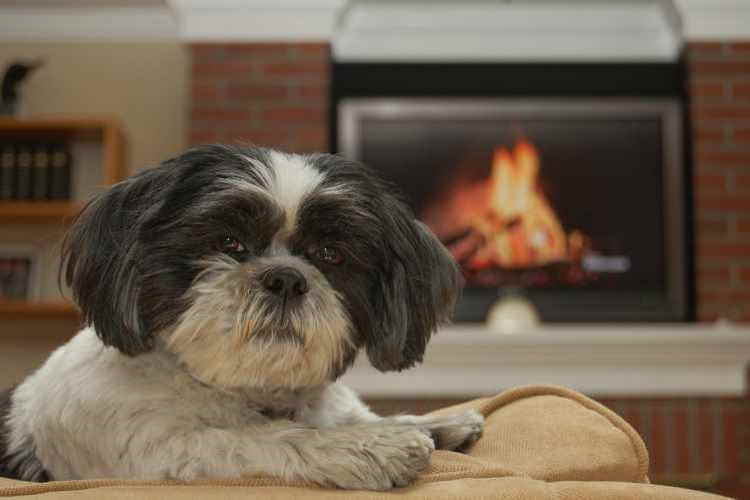 Rachel Ray Just 6 Rice and Lamb would be worth trying if your Shih Tzu has the same problem. We have had no more skin or tummy problems for Bailey since switching to Rachel Rays rice and lamp dog food. My shih tzu has allergies to dog foods, but she is able to eat Rachel Rays Salmon and Sweet Potatoes And it is half the price of what the veterinarians have to offer. There's no dye, no grain, and no meat food. I haven't tried the Rachel Ray dog food, but have just recently seen her commercials for it. Good for you for finding something that your Molly will eat. With dry food, I give my boys Fromm. But they don't eat it everyday, I mix it up with dry and wet foods cause if they have the same thing day in and day out, they tend to eventually just push it around without really eating. Another good brand of dry food is Orijin but that can be a bit pricey.